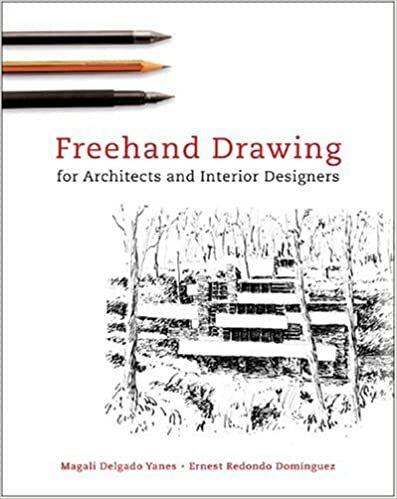 Why Is Freehand Sketching Still Important? With the continuing surge of computers, software, and technology in general, our lives as designers have changed drastically over the past decade and beyond. I do not know this first hand but I am just making an educated guess. Especially in the world of architecture, computer software has exploded and basically everyone is on board. If you aren’t on the train yet, you might as well take your bags and go back home because you are done. With that said, it is logical to ask the question: Is freehand sketching still important? In any design or graphics field, are those skills still necessary? A couple of weeks ago, I read a question on an architecture blog from a high school student contemplating their future as a potential architecture major. One of this person’s primary concerns was on this topic. She stated that she was not that good at drawing and wondered if you needed to be a good at freehand drawing in order to be an architect. I let the initial shock of the question fade and then gave it another chance. I basically came to the same conclusion again. Is freehand sketching still important? YES. Yes it is and I will do my best to explain why right now. There are certainly differing opinions on what is considered good when it comes to freehand drawing. If you understand it yourself and can explain it to others, I suppose that is one argument. Ok, I suppose at one point in time, a pencil or ink pen was considered technology, but no longer! Why is freehand sketching important still, you might ask? Freehand drawing is still important because it’s fast. You have an idea, something comes to your brain and you need to get it out. In the time it takes to turn on your computer, open up a piece of software and get started, you’ve begun to forget the idea. Obviously in that amount of time, you probably wouldn’t have created a masterpiece, but sometimes the masterpiece stems from that sketch you doodled on your napkin in 30 seconds as soon as it came to your mind. This is a pretty simple point to make. Based on what one considers to be good sketching skills, relatively speaking, a sketch doesn’t have to be perfect, nor should it be really. We can leave the perfecting up to the final product. Good sketching skills mean conveying the idea in your brain onto a piece of paper so you and others can see it and build upon it. Design is a process and without having freehand skills, personally, I have no idea how you can begin the creative process. 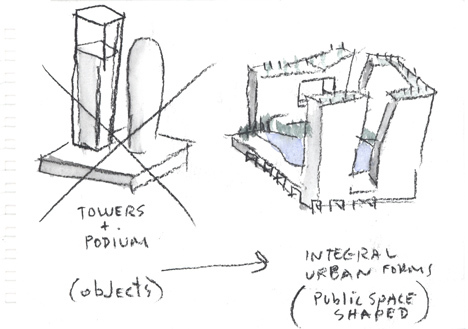 To drive this point home, here are a couple of hand sketches from architects. I’m positive that these didn’t take very long but without them, who knows, maybe these iconic buildings are never realized. (Personal opinions aside for said iconic buildings). No, that is not a typo. With all the advancements in technology even in the last 10 years, there was still no replacement for pencil and paper. The ease, convenience, and unlimited options with hand drawing had no competition. That is quickly beginning to change. Autodesk recently released SketchBook Pro which is professional grade sketching software. It comes equipped with the Copic color system and is available on Windows, Mac, and the major tablet manufacturers. This is just one product in a long line that is taking sketching and technology and combining them into the perfect storm. I see this going in only one conceivable way: For the first however many 1000′s of years, architecture was all about using your hands. For the past decade or two, computers have taken over and sketching has been on vacation, especially from the younger generation(don’t look at me!). Guess what, the two have combined which means you may be working on the computer, but you better be able to draw on the screen with a stylus of some kind because it will be expected. You can no longer hide behind the mouse and keyboard! Personally I recommend a couple of different sources to help you either hone your sketching skills or help you develop them to begin with. You are going to need the skill if you are getting into the design field. How could you consider yourself a designer otherwise? 1. 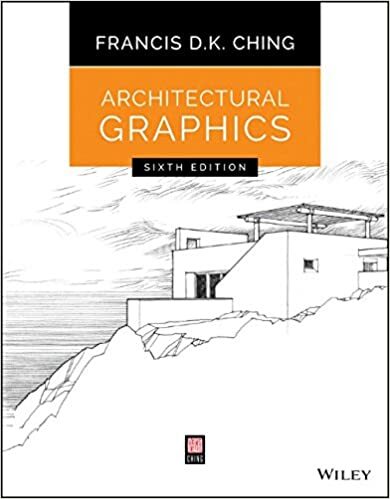 Architectural Graphics – Francis D.K. Ching – This book is a beginner’s guide that all architecture students should purchase and I still occasionally delve back into it from time to time. It gives you details about all the tools of the trade when it comes to drawing and gives you the ins and outs of what architectural graphics are all about. 2. Freehand Drawing for Architects and Interior Designers -Magali, Delgado, Yanes -Similar to the above option but explores more of the rendering side of freehand drawing and how to express different scenes in different ways. 3. 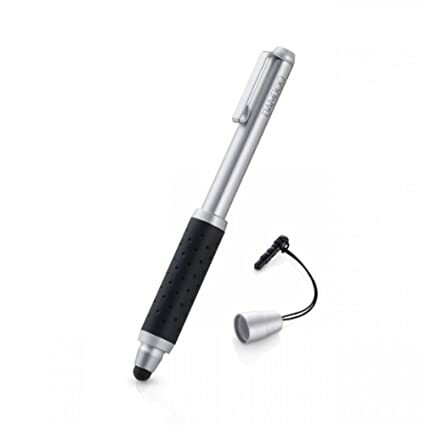 Wacom Bamboo Pocket Stylus – There are many different versions and styles of this Wacom Bamboo Stylus but I have and like this version because of the little connector you can put in the headphone jack on your tablet and not lose it. If you have an Ipad, I highly recommend you download the Paper by 53 app and check out this stylus. I’ve tried probably 5 different styli and the Bamboo was far and away the best. This one in particular comes with a couple of extra tips and 3 different color rings for customizing. I think I conveyed the necessity for architects and designers to be able to use their hands and paper to express their ideas. No matter what technology does, the art of freehand drawing isn’t going anywhere and you will be expected to be adequate. Check out the links above and check back in for more resources later as I will always be putting up new tools to help you out. In the meantime, check out Paul Hill’s Illustrations and Jim Leggit’s Blog. Both amazing free hand artists with different styles but both very inspiring as to why drawing is important and where it could take you!